Sydney Art Space is the inspiration of multi-form artist and educator Christine Simpson who had the dream of creating an art’s environment that provided quality art courses, quality art tutors and diverse and interesting open forums and workshops for the larger community. Our art school is located in the original gamekeepers cottage for Taronga Park Zoo, where large animals would come for the sea breeze and respite on what was then surrounding farm lands. It is now a sanctuary for adults, teens and children seeking creative respite from a very busy world. We offer adult art coursework on weekdays, evenings and Saturday afternoons, children’s art classes after school, and private HSC tuition Saturday mornings. There are adults, teens and children’s holiday art programs along with a great variety of once-a-month creative workshops held midweek and weekends. There is opportunity for everyone, no matter what their weekly schedule may be, to begin and develop their creative journey at Sydney Art Space. We hold an annual student exhibition showcasing work from all our art courses and workshops, in a dedicated exhibition space every January in beautiful Avalon, on the Northern Beaches of Sydney. All the creative efforts of our students are celebrated and the goodwill of belonging to a vibrant and creative community is shared and enjoyed by all. 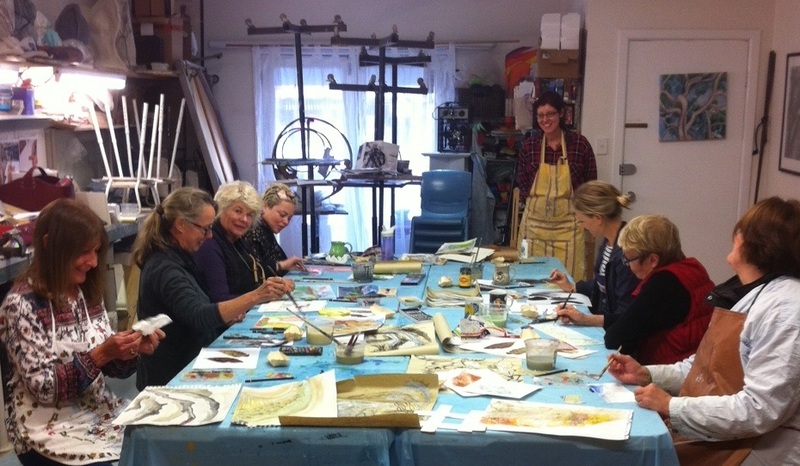 Creating an art’s hub that gives people of all ages and stages, the ability to develop and enhance their creativity and confidence by learning real skills to begin and/or grow their arts practice in a fun, safe, nurturing and non-competitive learning environment is what Sydney Art Space is all about!